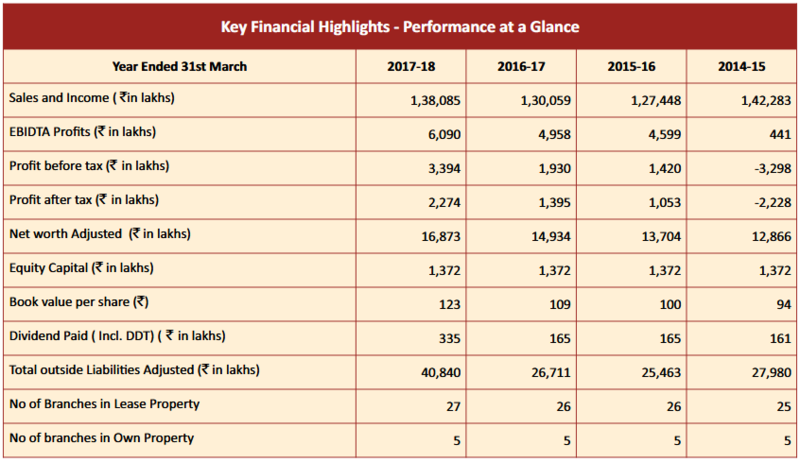 On a turnover of Rs.1,37,929 lakhs for the year, the company made an operating profit of Rs.12,818 lakhs against Rs.10,894 lakhs made in last year. It represents 18% increase over the last year. The better results are due to stable gold price realisation and also due to better marketing initiatives undertaken by the management. The company could perform better due to margin expansion resulted on account of better product mix sales. It is also marginally attributable to better volume of diamond ornaments on a comparable basis with last year. You may notice that our top line growth over a period of four years remains in a narrow band. 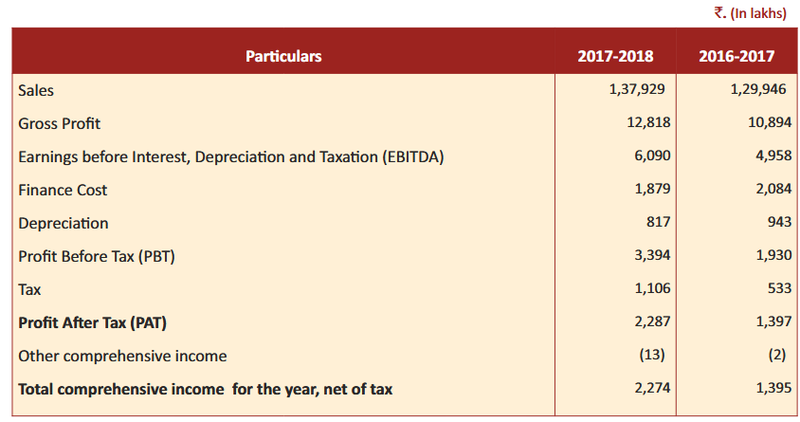 However, due to various initiatives taken by the management the value addition to the products sold continuously improved from 3.75% in 2015 to 9.30% in 2018 resulting in the gross profit growth of 150% in the four years period. The company consciously decided not to expand branches in haste and strategically played on the brand visibility created over two decades of operations by enlarging the size and inventory of the existing branches one by one for getting improved results. 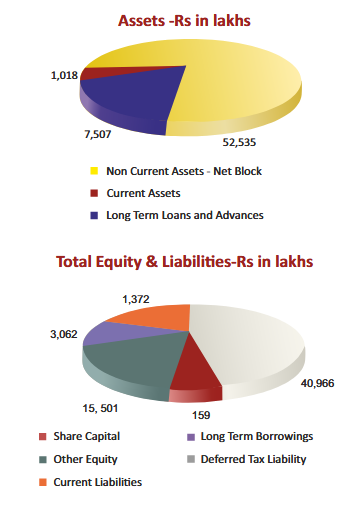 You may find from the financials that our size of Balance sheet significantly increased in 2017-18 and the fruits of the enlarged Balance sheet would be positively felt in the year to come. Thangamayil exults in presenting its investors the 18th historical Annual Report of the company corresponding to the financial year 2017-2018 against the previous years for the notice of investors.